Your kids will absolutely love the free fountain shows at The Island shopping center in Pigeon Forge. Every half hour, the fountain at The Island erupts with over 89 different jet streams that sync up with popular music tracks. Bursts of water reach as high as 60 feet in the air! Shows run every day of the week from 10 a.m. – 11:30 p.m. While the fountain is impressive at any time of the day, we suggest coming at night when the streams of water are lit up with brilliant colors. Home to over 120 artists and craftsmen, this 8 mile loop road in Gatlinburg is one of the best free things to do in the Smoky Mountains. Stop by this charming collection of galleries, studios, and shops to see some truly exceptional handcrafted art. Parking is free at all of the businesses in the Great Smoky Arts & Crafts Community and there is no pressure to buy anything, although it might be hard to resist picking up a gift or two. Children will love all of the wood carvings and animal inspired artwork. One place you need to visit on the loop if you have kids is Santa’s Claus-et, a year round Christmas store with jolly Old St. Nick himself behind the cash register! Located right next to one another, Patriot Park and The Old Mill are two free destinations that you don’t want to miss during your vacation. Perfect for a picnic or a scenic stroll, Patriot Park offers a beautiful pavilion, a huge liberty bell, and a veteran’s memorial. 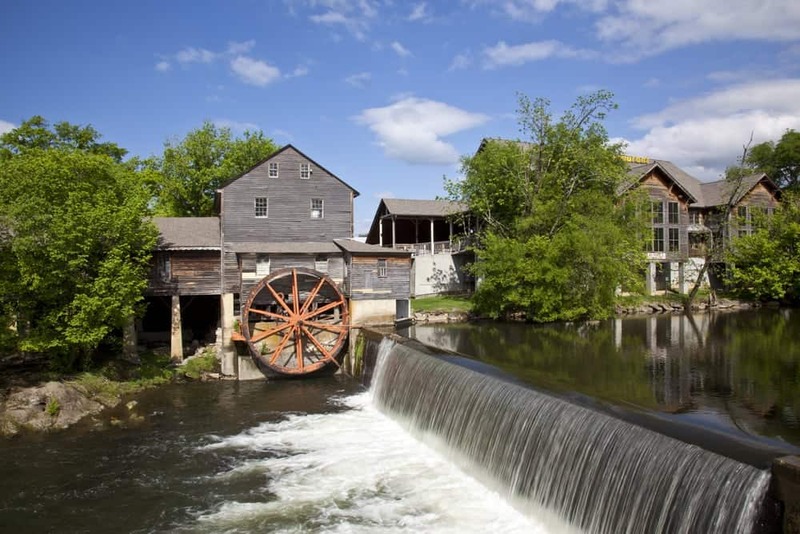 Head down the road to find The Old Mill Square, a charming shopping area centered around a historic gristmill on the Little Pigeon River. One of the highlights for kids is the chance to feed the ducks who frequent the river bank! Children will also enjoy exploring The Old Mill General Store and the other fun shops in the square. Looking for more free things to do in the Smoky Mountains for the whole family? Check out our Smoky Mountain Cabin Specials page to learn how you can get free ski tickets this winter!